One Step at a Time: We Paid Off Credit Card #1! We paid off one of our credit cards! This was the credit card with the smallest total: $1553.03 as of the end of July. The original plan was to throw $150/month at the balance and pay it off early next year. But in response to our post about our financial goals, an anonymous commenter strongly urged us to either ditch this debt ASAP or transfer the balance to a card with 0% interest. They pointed out that from an interest standpoint (the card sported a relatively hefty interest rate of 14.99%), it was the smartest thing to do. I don’t know why, but my initial reaction to this advice was one of resistance. The thought of using our precious savings (a whopping $2500, folks!) to obliterate the balance was scary to me. I took great comfort in our emerging financial safety net and wasn’t sure I wanted to lose that sense of security. As for the recommendation to transfer the balance to a card with a no-interest grace period, it sounded like a great idea. It totally made sense. Yet somehow, when it came to actually applying for a new card, I found myself dragging my feet - maybe because I don't want a new card. I already have too many credit cards. After hemming and hawing for about two weeks, Fortysomething and I finally decided to just pay it off and be done with it. So late yesterday, I logged into my account, typed in an amount just a tiny bit higher than the balance, and clicked the Pay button. I felt a surprising sense of relief. Yes, taking this financial step means working with a more diminutive emergency fund, but given that we finally have stable jobs (this is the first time in our married life that we've had full-time salaried employment at the same time, believe it or not! ), we decided it was a relatively safe gamble. It also helps that I recently landed a side hustle which, when it starts in September, will allow us to rebuild the emergency fund in a fairly expeditious manner. In my mind, the primary benefit of taking this leap – as small as it might be – is that it motivates us to keep going. We can now use that $150 a month to increase our payments on the second credit card. By January, when our car loan is paid off, we’ll be able to put over $700 a month towards repayment of that card. We’ll start to see some real movement. It’s a small but meaningful step in this long journey, and the despite the distance we still have to go, it's a milestone worth acknowledging and celebrating. The Very Expensive Feline is also excited. This past week, the Kiddo and I used one of his last remaining weeks of summer freedom to travel to the Pacific Northwest and visit with family. It was quite possibly the most frugal vacation I've ever had as an adult: in total, we spent $404, including food, transportation, and activities. Not too shabby for a weeklong vacation for two, I'd say. Airfare: We purchased round-trip tickets on Southwest for $203.70. Fortysomething and I both have Southwest credit cards, and given that we've put quite a few hefty purchases on those cards over the last year, we'd racked up a decent number of travel points. It wasn't enough to cover both tickets in full - tickets to Seattle over the summer months are pricy - so I had to buy extra miles to cover the difference. Lodging: This came out to a grand total of nothing because we stayed with my brother and his family. They graciously opened their beautiful house to us for five full nights. They're the kind of people who love to have people over to their place, and they do their best to make their visitors feel entirely at home and at ease. They're amazing. Crashing with family isn't always an option (plus, not everyone wants their siblings invading their space for days on end), but when it is, it certainly does cut down on expenses. Activities and food: I budgeted $200 for food and activities. Although I wanted to keep our spending under control, I also wanted to have the flexibility to make a few pricier purchases and treat everyone to a nice dinner, since they were letting us stay at their house and shuttling us all over Seattle. My family was entirely accommodating of our budget and planned plenty of free outdoor excursions. We visited two beaches - Dash Point State Park and Seahurst Park - and Snoqualmie Falls. We hiked on local trails and viewed the Space Needle from the laid-back Alki neighborhood. For low-key activities, we napped, read, and walked the dog around the block. Food was definitely our biggest expense: we did a wine tasting at Chateau Ste. Michelle, fended off a child hanger emergency at Panera, enjoyed ice cream and pinball at Full Tilt, and had dinner at Marination Ma Kai and Odin Brewery. Every meal was such a treat. Had it ended there, we would have been under budget for the trip. But then we traveled home. Thanks to lots of pre-trip planning and snack prep, I didn't spend anything at the airport on the trip out. I was far, far less prepared for the flight back and ended up shelling out at least $30 for overpriced, dry convenience store food and a giant tray of stale nachos (boooooo). Still, at the end of the day, our activities and food came in at $200.53 - just a few cents over. Bottom line: I succeeded in not overspending, but I had a lot of help. Being able to bunk at someone's house cuts costs in a big way. Having a family who respects budget constraints and is creative enough to come up with amazing yet free things to do is also enormously helpful. Accommodating visitors is emotionally and physically draining - even when said guests are as awesome as we are! Ha! - so I can't thank my family enough for their hospitality. Throughout what is sure to be a long, winding, and probably tedious journey towards total debt repayment (again, the goal is five years or less for car loan + credit cards + student loans), I want to take time to acknowledge our achievements. Congratulating ourselves on our victories, however small they might be, will motivate us to keep going. We've stuck to a budget for almost four full months. 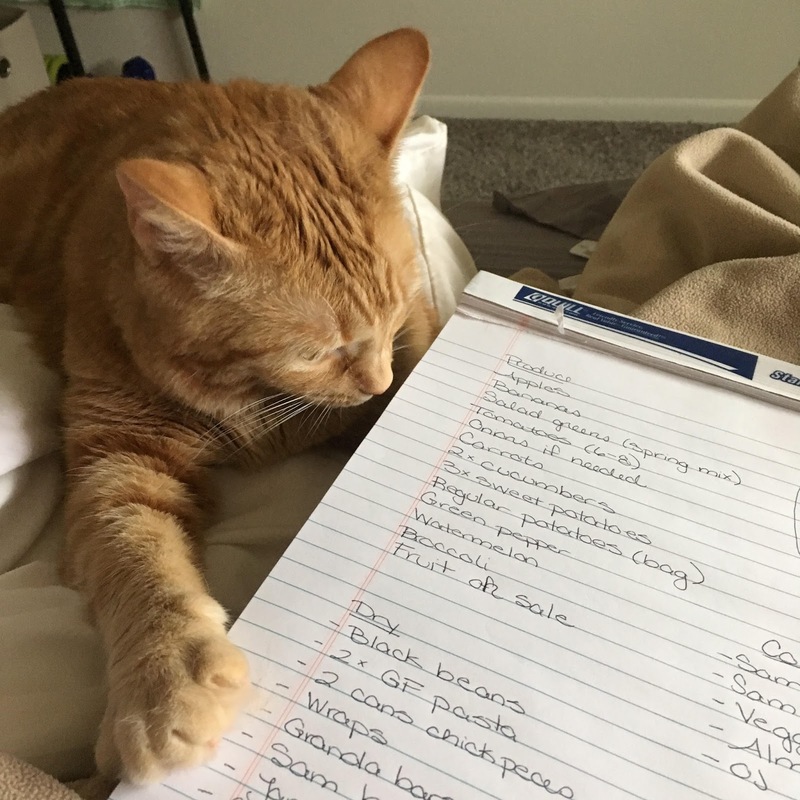 We started budgeting in April, and although that incipient effort was rife with rookie mistakes - for instance, it left no room for the purchase of toilet paper or kitty litter - it served its purpose by getting us on the right track. The budget has evolved since then. The one we're working with now takes into account all of our regular payments and expenses (toiletries included!) and gives us permission to pay ourselves (i.e., save). Our grocery bill has decreased substantially. 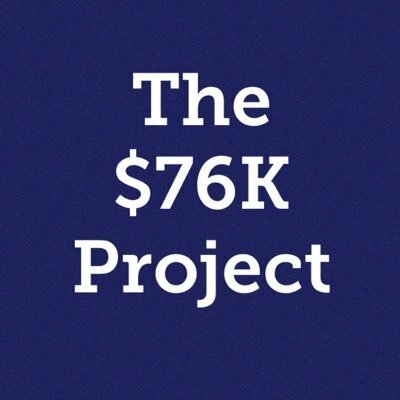 Back in April, we allocated $225/week for food. Last week, we spent $130. Granted, part of that had to do with Fortysomething being away on a business trip for which he received a per diem for meals, but some of it also has to do with the fact that we're being far more discerning in our choices. We've stopped buying the stuff we think we *should* eat but that tends to go bad in the fridge, and we've started to rely more on items we know we will consume. We've largely quit purchasing expensive boxed mixes, frozen meals, and craft beers. We're simplifying what we eat, and in the process, we're spending less. My ultimate goal at this point is $150/week - and I'm pretty sure we can make that work. We've majorly curtailed our consumption of mindlessly-purchased junk. These days, we carefully weigh every purchase. Gone is the era of wandering into Target empty-handed and emerging 45 minutes later with bags full of stuff we weren't planning to buy (is it just me, or is that something of a modern American pastime?) As a result, we're seeing fewer cheap toys, clothes, gadgets, and decorations make their way into our little apartment. Our living environment isn't hip, but it feels airy and uncluttered. These are achievements - big ones, for us. That's a tremendous amount of habit change and mindset shifting in less than half a year. As part of the Uber Frugal Month Challenge, Mrs. Frugalwoods has encouraged all participants to exercise the three-day rule when making a purchase: if you see something you think you want to buy, wait three days before pulling out your wallet. That way, you're more likely to purchase what you actually need rather than throwing away money on a mere impulse. You have time to weigh the pros and cons. I'm all in on this challenge, but I went into it the month of June with the reluctant realization that I need new running shoes. And that's one thing to know about me, because it's an important part of who I am: running is my personal form of meditation. Some people do yoga, some get acupuncture, some go to church or temple or other places of worship... I run. My ability to hit the trails has a direct, tangible influence on the quality of my life. Running is as close to religion as I get. The Raptors are amazing... when I'm hiking. As running shoes? They're questionable. They fit my feet like gloves and provide amazing stability on rocky surfaces. However. As fantastic as they are for walking and hiking, they're absolutely terrible (for me, anyway) for running. I'm convinced they're contributing to my persistent IT band problem. I'd say I've made the most of these shoes. Bottom line: I need new running shoes. And yes, I would classify this as an actual need. As every runner well knows, kicks aren't cheap. The Raptors go for as much as $130, while the Hokas are listed for $90 or so. At those prices, new shoes just aren't happening - even after thinking about it for well over three days. I decided that what I really needed to do was look for pre-owned shoes. Not tattered, stinky ones with holes in the uppers, but mostly-clean, gently-used ones that have been discarded by wealthier folks unhappy with the color of the laces. But here's another thing to know about me: I hate shopping, and I especially hate shopping around. Shopping around is hard. Thrifting? Heard of it; no idea how to actually do it effectively. Couponing makes me want to cry. (I know, I know... Sorry. I'll probably come around.) I'd rather take a nap. But according to my knee, I also really, really need shoes that a) don't hurt me and b) don't sport holes large enough to swallow up entire pinecones. A friend recommended eBay as a good first place to look. It sounded completely overwhelming at first, but I reasoned that at least shopping online didn't involve putting on decent clothes and talking to salespeople (third thing about me: I hate small talk). So I dove in, checked the eBay running shoe inventory, and... guess what? It turns out that eBay is The Land Of Perfectly Good Second-Hand Running Shoes Selling For a Fraction of the Original Price. I saw decent-looking (read: dirty but structurally sound) options for as little as $8. And although I was initially concerned about getting conned by stealthy gross shoe dealers, most of the sellers had hundreds of outstanding reviews and flexible return policies. Welcome home, my puffy darlings. There's a little dirt on the soles. Other than that, they look brand new. I tested them out tonight. They fit like a dream and feel like clouds. My IT band is thrilled. Lesson learned: Taking a chance on second-hand, even when it comes to shoes, can be well worth it if you're willing to shop around a little bit and vet the sellers. If tonight's run is any indication of the future, I don't see myself paying full price for new running shoes ever again. So tell me: What high-quality product have you been able to purchase second-hand at a fraction of the original price, and where did you find it? Scene: It's Thursday night, and you're watching your favorite show on Netflix while quietly basking in the knowledge that tomorrow is the end of the week. Two precious, cubicle-free days of liberation are less than 24 hours away! But how to make the most if them? Several possibilities immediately come to mind: Brunch with friends. A visit to the local festival, sure to be replete with craft beer and food trucks. A date night. A trip to the coffee shop. Maybe the zoo or a concert, or an excursion to the art gallery to check out the latest exhibit. Date night of weekends past. This beer alone was $6. NOT THIS WEEKEND. And then you remember: You're on a budget. More than that, you're participating in the Uber Frugal Month Challenge, which means that if it costs even a penny, you're not gonna do it. No way, no how, because you're committed to this challenge, dagnamit. So. Every single idea that's just come to mind is out of the question. This was the scenario that kicked off our weekend, and I have to be honest: I had a wee panic attack when considering our options. My knee-jerk reaction was one of, If we can't pay for it, what the heck are we going to do? And then the next thought: Everyone else is going to be PARTICIPATING IN LIFE while we're sitting inside, playing video games, eating leftover rice and beans and indulging the cat in repeat games of fetch because now we're Those People. Hashtag Pennypinchers. weekend playing with her. And yes, she enjoys a good game of fetch. Maybe it's just me, but I'm so used to the pay-to-play mentality of modern-day entertainment that I acquire an acute case of FOMO when I can't participate in activities that cost money. The rational part of my brain acknowledges that there are plenty of free things to do in our town and in our own home: We have access to dozens of parks, forests, recreation areas, urban trails, and two ponds where the Kiddo enjoys fishing. We have memberships at our well-stocked city library. We have weekly Sunday morning concerts that coincide with the farmer's market; the food isn't free, but the music is. We have the Kiddo's Saturday soccer games. We have friends who like to throw potlucks and barbecues and sit around on the porch just shooting the breeze, an activity which last I checked costs a grand total of nothing. And within our own home, we have games, craft materials, the ingredients for popsicles and cookies, and plenty of movies. I just needed to talk myself down, that's all. We visited the local lake at sunset and watched the Kiddo fish. Last week, he used his own money to purchase the rod, the reel, the license, and the fat little nightcrawlers (they live in a styrofoam cup in our refrigerator; I'm still coming to terms with that), and Fortysomething taught him the fishing fundamentals. It's turning into a hobby we all enjoy: the Kiddo lures the panfish, Fortysomething and I get a chance to talk, and we all have the opportunity to enjoy the outdoors. We live in a higher-cost area, but scenes like this make it worthwhile for us. We went for a wildflower hike, took pictures, and then used a borrowed wildflower guide to try to identify them. Wildflowers are in full bloom here, and new varieties literally pop out of the ground overnight. Observing their vibrant colors and textures is a treat, though none of us is particularly adept at identification. We baked (and then ate) biscuits. These happen to be plant-based and delicious. Also, you can make them in your toaster oven. We visited the library. Fortysomething stocked up on books about biology, the Kiddo selected books about penguins and seeds, and I ended up with my usual stack-o-randomness. Pretty sure Ed would approve of our weekend outdoor extravaganza. We watched it rain. May and June were insanely dry months here. Pollen levels were through the roof, new forest fires seemed to crop up on a daily basis, and our A/C-less apartment was too hot for any form of cooking that involved the stove or oven. Now that the monsoons have arrived, we're fascinated by the rain. We literally sit in front of our open door and marvel at the daily afternoon downpours. In short, it was a lovely weekend with plenty of relaxation and time together. So tell us: What are some free activities you'd recommend to other folks pinching their pennies and still trying to have a good time? What are the best free things to do where you live? And... Does freekending get easier? 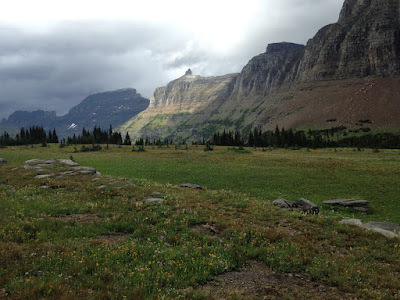 Back in the early aughts, I went on a one-month group backpacking trip that involved getting up early each morning, pointing to a peak in the distance, mapping out our path, and setting off for the summit. Every morning, the task seemed impossible, and every day, we faced setbacks: someone would get a blister and we'd have to stop for half an hour, or we'd pull over for a snack and get lulled into a nap under a blissfully shady tree, or we'd go the wrong way and have to backtrack. Sometimes we'd be miles from our target when we rolled into our sleeping bags for the night. Nevertheless, we put one booted foot in front of the other and kept going, and eventually - if a few hours or even a day late - we'd reach our destination. From the top of the mountain looking down to where we'd started, every obstacle and challenge felt worthwhile. 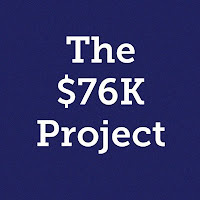 The idea of paying off $76K+ in debt in just under five years on a rather limited budget is, to say the least, just as daunting. If we focus on how far we have to go and how many tens of thousands of dollars we have to repay, it seems almost impossible. But we're taking the same mindset as we do when we set off on a long hike: set the destination, make a plan for getting there, and then make progress one simple step (or one simple dollar) at a time. The debt repayment plan we're using is the much-touted Debt Snowball method. For those unfamiliar with the concept, a Debt Snowball is when you pay off a series of debts in an order dictated by their balances and interest rates. When one debt gets paid off, you don't take the money that you used to apply to that payment and spend it on vacations or sushi or snow cones (I don't know why sushi and snow cones came to mind). Instead, you roll that money into the remaining debt until one day - if you're reeeeeeaaaallllly committed and stick to the plan - voila! Debt eliminated. The car loan (which I didn't originally include in our debt calculation, but then figured I should) will be paid off by the end of this year, at which point we hope to apply that freed-up $300 to Credit Card #1 (a total payment of $450 a month). Once Credit Card #1 is paid off, we'll take that $450 and apply it, along with the original $275 monthly payment, to Credit Card #2. And so on. It's going to feel like slow going at first, but once we're able to throw more than $700 a month at our highest-interest rate credit card, and once we see the balance moving downward at a fairly expeditious pace, I'm convinced we'll be inspired to keep plugging along. That's the plan, but we'll see if adjustments are needed. With Fortysomething starting a new job later this month, our income will decrease somewhat. Though we hope not to, we may need to stash some of the $300 car payment cash in savings, thereby slowing our debt repayment. We'll have to play it by ear. According to the calculations we made at What's the Cost, it will take us a whopping 59 months - just under 5 years - to pay off the full balance of our combined debt. Whew. Five years! That's going to take dedication, but I've never felt more determined to put ourselves into a better financial situation than I do right now. I know that when we get to that point and look at how far we've come, the time, effort, and sacrifices will be worth it. On another note, we're participating this month in Frugalwood's Uber Frugal Month Challenge. The accountability and encouragement are working. We've really reined it in this month: we've slashed our grocery bill and eliminated most non-essential expenses (the only exception we made was for haircuts for the Kiddo and Fortysomething; I can cut my *own* hair, but I don't know the first thing about cutting a guy's hair). I can't wait to tally our total savings at the end of the month and share it here. This summer so far has been hot (thanks to high temps and no A/C), smoky (thanks to nearby forest fires), busy (thanks to high season at work), and very, very frugal. That last point is thanks in part to our participation in the Frugalwood's July Uber Frugal Month Challenge, which offers daily suggestions for living more thriftily. The challenge came at a good time: instead of losing steam after three months of budgeting and saving, we're more inspired than ever to cut out the excess, pay down debt, and squirrel away what we can. We've been carefully evaluating our budget to see what we can adjust and what we can't do much about. In some cases, items that we treated as immutable are more elastic than we first realized (for instance, we've managed to cut our monthly phone bill by more than $20 by reducing our data plans and taking advantage of a military discount). In other cases, we've had the epiphany that we can just... spend less. Crazy, I know! Case in point: last week we managed to painlessly reduce our grocery expenses from $225 to $200, and I think we can do even better this week. Rent. We live in a rapidly-growing city with rapidly-inflating housing prices. Compared to the midwestern U.S. - where we paid $500/month for an entire house - rent here is bordering on exorbitant. We shell out $1445/month (up ~$30 from last year) for our two-bedroom, two-bathroom apartment. Given its excellent location, beautiful views, and responsive staff, that's reasonable compared to similar rentals in our locale. One frustration: included in the rent is a $35/month pet fee, which we see as completely ridiculous for one lazy feline who destroys nothing but her meals. Nevertheless, she's family, so we deal. Health insurance. I'm extremely lucky in that my employer offers a comprehensive health insurance package that covers medical and dental for our entire family for $300/month. We've had few health problems, knock on wood, but coworkers who have spent more time at the doctor's office and in the hospital say that it is nothing short of outstanding - especially when compared to what the United States generally serves up in the way of healthcare (I won't get started). Car payment. We pay $300/month towards our auto loan on our only car, which I am thrilled to say WILL BE PAID OFF by the end of this year! We're crossing our fingers that it will run for the next several years so that we don't have to deal with car payments at all. One reason our current auto expenses are so high is that we made the mistake of purchasing our car new back in 2012. That is never happening again. New was not worth it. Used cars all the way from here on out, and if we can just pay outright, we will do that. Debt repayment. We allocate $1400/month to debt repayment on our student loans and credit cards. That's a hefty percentage of our total income, and yes, it makes me feel slightly sick to throw it at our past mistakes. We could pay a little less on some of our cards, but we're determined to lose this consumer debt within six years (more on our repayment plan in a future post). What about you? What are your fixed expenses, and which ones eat up most of your budget? Have you found ways to reduce the cost of your fixed expenses without incurring drastic changes to your living situation? Before we started adhering to a budget this past April, we paid little attention to our weekly grocery bill. We're a vegetarian/vegan household, and we believe that fresh, nourishing food is both necessary and worthwhile. Thus, we gave ourselves license to purchase whatever we wanted to purchase, whenever the mood struck. Sure, we'd use the occasional coupon, and sometimes we'd stock up on sale items. But for the most part, anything was fair game as long as it was reasonably healthy. Then I tallied our food expenses and realized that sometimes we were spending upwards of $1100 a month for a family of three. That's about $500 more than what Americans spent per month on groceries in 2012. And that... that was an eye-opener. I, for one, hadn't realized just how big a chunk of our income was going into our stomachs. When we formulated our budget, we decided to set our weekly grocery target at $225, a number that we felt would help us rein in our spending without being totally unrealistic. After all, if we're trying to go out to eat less, then we do need to be satisfied with what we're consuming on a daily basis at home. I'm happy to report that we stayed within our grocery budget throughout all of April, May, and June. On average, we spent $220 a week, and the reduction hasn't felt like a sacrifice. I've been compiling weekly menus and grocery lists, and we've been eating more pasta, rice and beans, and simple salads. Preparation has helped a great deal. I'm sure we could tighten up the budget even further if we were willing to spend more time couponing or go to multiple stores to get the best deals, but I have to admit that I have never been able to stick with those strategies. That's in large part because the combination of people and fluorescent lighting at most grocery stores is enough to make me hyperventilate within five minutes of entering the premises. Typically, Fortysomething does all of our grocery shopping at the store down the street and takes whatever coupons we've remembered to shove into our sparsely-populated coupon envelope. Given this, I'm happy with our progress. But we've set the bar even higher this month by taking our grocery budget down to $200 per week. Fortysomething is starting a new job, and with that comes a (manageable but challenging) gap in pay while he wraps up projects with his previous employer and onboards with his new one. To ease that transition, we've tightened the pursestrings a little more. I can already tell that it isn't going to be easy. Our strategy this month is to focus on simple meals and simple ingredients, reduce consumption of snack and convenience foods, and buy our staples on sale when we can. What about you? How much do you spend on groceries in a typical week? What are your tricks for getting good deals on nutritious food?